A2B Heli (Charters) Ltd are able to offer a wide range of bespoke day trips to suit your needs. Picking you up from a location of your choice, you'll be whisked away for an unforgettable day onboard your own exclusive helicopter. Please see ideas for trips below, or alternatively contact us so we can build a trip to suit your needs. You will start the day by either being chauffeur driven to a local heliport or have the helicopter land at your location. You will depart in your exclusive helicopter and head towards central London where you will experience the capital from the air. You will then head towards Blenheim Palace, flying over some of the grandest country estates in England. You will then view Blenheim Palace from the air before landing and exploring it on the ground. After experience Blenheim Palace you will re-board the aircraft and take a trip to Stratford Upon-Avon. Once experiencing the historic town from air, you will land at a near by airfield and be chauffeur driven to visit Shakespeare's birthplace on foot. You will then by chauffeur driven back to the helicopter to experience sunset from the air with a glass of champagne to return home in style. 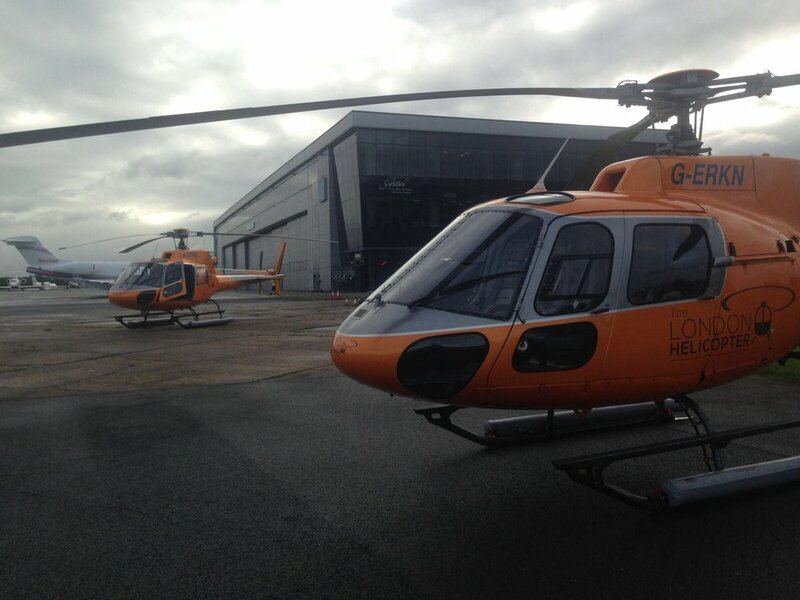 You will begin the day by meeting the aircraft at a local airfield or location of your choice. The aircraft will then depart towards Bath, flying over the ancient city before landing at a local farm strip. You will then be chauffeur driven to Roman baths to explore them on the ground. After exploring Bath you will re-board the aircraft and depart towards Stonehenge, taking in on Bristol on the way. Following an aerial tour of Stonehenge you will land at a nearby helipad and be driven to Stonehenge to view the ancient site from the ground. Once you return to the helicopter you will be flown back home in style. A2B Helicopter Charters are able to create a bespoke day trip to your specifications. From chauffeur driven luxury cars to entrance to a wide range of attractions we will ensure you have an unforgettable day. To build your own trip please contact our operations team.